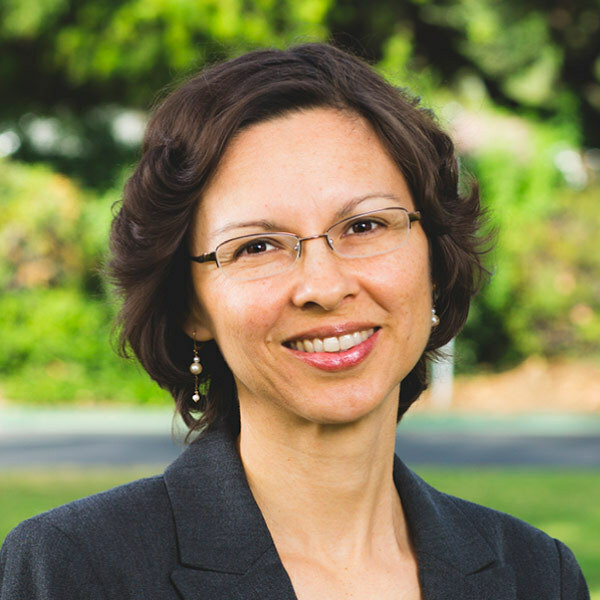 Yvana Uranga-Hernandez teaches both in the undergraduate and graduate programs. Her courses include Multicultural Issues in Communicative Disorders (UG), Theology of Disability (Grad), Child Language and Literacy and Disorders (Grad), Childhood Autism Spectrum Disorders and Augmentative Alternative Communication (Grad). She also developed and leads the social skills camp for children with autism that takes place at Biola University during the summer and has directed the Biola Speech-Language Clinic since 2005. Uranga-Hernandez focuses on teaching her students how to effectively and accurately assess children from minority populations in order to solve the problem of overrepresentation in special education and their underrepresentation in gifted and talented school programs, as well as helping them understand how to assess and remediate language and literacy disorders, and how to effectively work with children with autism. She strives to have her students see children with disabilities as people first, understanding that we are all made in the image of God and thereby deserve the same respect and love. Uranga-Hernandez’ teaching approach includes both theoretical education as well as a practical hands on approach in order to assist students in making connections between the two. She is passionate about teaching her students not only in the classroom but out of it as well, she has an open door policy and students know that she is willing to discuss academic, professional, and life issues with them. She strives to teach and love her students well so that they leave Biola and do the same. In May 2016 she completed her dissertation on autism and the church and in May 2018 published on the same topic in the D6 Family Ministry Journal.